Sadness is a part of life that must be acknowledged, even by Positive people. 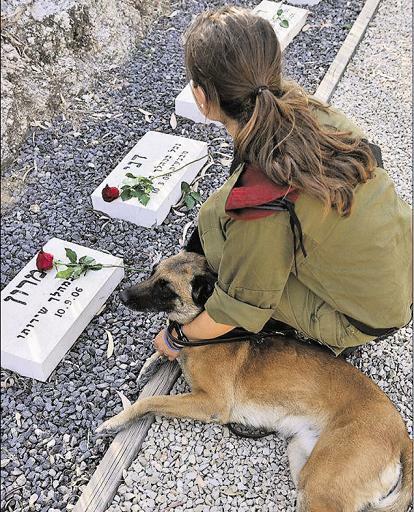 Israeli soldier and her dog mourn the death of other IDF dogs who fell in combat while serving their country. I received the results of a standard blood test for guys my age. The result: Negative. I recall the first time I received such results, I was concerned. I did not want "negative" results, I was hoping for something more positive. The doctor explained of course that in this particular case "Negative" was actually very positive. Negative was to answer the question: Did anything harmful show up? No, nothing bad showed up, nothing out of the ordinary. Thus the lack of any "Positive" results was a positive thing, a good thing. So "Negative" is in fact very positive. It is a sign that all is well. In reality it is all a matter of your attitude towards the negative in the world. Wow, I just said something terrible, I said there is negative in the world. Earlier today I had a discussion with a lovely human being, a gentle soul. When I am around her somehow I always end up something wrong. My stories are wrong, my examples are wrong. Whatever I say ends up being the "foot in the mouth" and I get reprimanded. My way of life is simply faulty. This kind person is currently working in the hotel industry. I tried to make "positive conversation", I failed. Me: Wow, this is a responsible position, being in charge of the hospitality desk, you are on the front lines, you have to deal with all the minor issues that everyone gets upset about. I have friends in the hotel industry and I hear stories myself. You probably have a lot of annoying customers; the water pressure is not right, I don't like the view from my window, I did not get my newspaper on time, room service was slow." Her: I don't like to focus on the negative. I prefer presenting a positive image to look up to, I don't focus on what is wrong but on what is right and good. I don't like the term "Trouble Shooting", it is negative, it focuses on what is wrong." She then continued to point out some faults in my life such as lack of active "fun time". (she was only trying to help). I laughed at myself as a "boring older stay at home type". She criticized my attitude and said if I see myself in such a negative light then that is what I will actually be. I admit it, I left the conversation feeling a little down. So I put on my favorite comedy team, HaGashash HaHiver and laughed all the way home during terrible holiday traffic jams. Today everyone is so into "Positive thinking", it is all over Facebook, motivational books, videos etc. I am also positive, I am positive there is a great deal of evil and danger in the world but I do not think of myself as a negative person. I started a new Krav Maga organization, IKI, with zero experience in such matters. I have taken it to new heights in over 30 countries. I have created something new that has benefited so many people. I think that is positive. But my attitude, and the attitude of the Israeli army, is to always look for the negative. It may not "feel good" but it is a matter of survival. Imagine a mechanic checking your car. "Lets focus on the positive, the tires are great, the window is really clean, the air-conditioning works really well.. etc." But what we really need is for him to look for what is wrong; the breaks are worn out, the exhaust pipe has a hole. The negative approach will save your life. I do not know how this friend does her job, I am sure she handles things well and by no means am I criticizing her, I am just trying to draw some lessons from the encounter. Sometimes when I am around such Positive People I get nervous. If I casually say that something is bad, or wrong, whoops, I get it over the head. Suddenly we live in a perfect world. Yes, a perfect world in which everyday people are bludgeoned to death. Sorry I mentioned that. But people prefer to be Positive, I think of that as being blind to reality. It reminds me of a skit from, yes, the Gashash HaHiver (in Hebrew). A young couple (in the 1970s) buys a new apartment, advertised as "3.5 rooms" but can not find the "half room", (not sure if this concept exists in other countries but here it means a small room). Building contractor: So, you say there are only 3 rooms. Did you search the apartment really really well? Young Couple: Yes, we even checked from the balcony. Building contractor: So a balcony you have! great! focus on the positive, go young couple, enjoy your new home. And thus the routine continues with the contractor constantly pointing out what the apartment does have, but never addressing the issue of what it does not have. But the bottom line was that the couple had paid for 3.5 rooms and ended up with only 3. Our style of Krav Maga is unique. And it changes all the time as we constantly seek to improve. When I am asked my opinion of older styles of Krav Maga my answers often come across as "negative". I simply do not believe in much of what is out there and I say what I believe from my mind and my heart. Sometimes the words sound harsh but I speak what I believe. Others are more diplomatic and prefer to say nice sounding words like, "All styles have their benefits, they are just different". Why can't I speak this way? Just yesterday someone told me, "Sometimes when you speak you come across harshly, you use very strong words. I think people would be more inclined to listen to you if you toned it down a bit." No, I disagree. If I "toned it down a bit" there would be no point in listening to me because all you would hear is fluffy nonsense. I am not a polished politician, I am here to give you straight answers. I do try my best not to offend anyone directly, of course. In fact my teacher and friend Itay Gil always felt that I was way too kind in the way I evaluated people. He feels I am too soft in business (He is correct). Just a couple of days ago he said to me, "Moshe, you have always been too nice". But when it comes to training, to Krav Maga techniques and approaches I do not hold back. If you car needs new breaks I think we should take the negative approach and just say it, your breaks are shot, if you do not replace them you can die. To me that is positive action. If your Krav Maga techniques are not practical, not useful in real life situations, well, I prefer to tell you directly. Why? Because I care enough to say the truth. The truth as best as it is known to me at the moment. The Israeli military is always examining itself and looking for the negative. Where did we go wrong in the last war? How did this happen? Where were we lacking? This negative approach leads to positive changes. But why be negative? Instead of looking at those who were killed in the war as a result of our mistakes, why not take a positive approach and look at those who did not get killed? Nobody wants a downer. "Don't bring everybody down". Why, because the "feel good" approach creates a false sense of confidence, in war this will lead to total disaster. We must be brutally honest and seek out our faults. In Krav Maga we must find the weak points, we must find our faults. I am not saying we should insult our students and humiliate them in public, no, certainly not. But in our ongoing evaluation of Krav Maga we must be negative, we must focus on what needs to be improved. Israeli has great security, perhaps the best in the world. We have reason to be proud, but me must look for the negative. On Passover night, a family was driving to the Seder, the festive meal, to join their family, to celebrate. But they did not make it. The road was not secure enough. An Arab opened fire on the vehicle. It was a Passover Murder. I am sorry to be such a downer. Now lets keep looking for what went wrong so that in the future more families can gather for a festive meal without worrying that one of the members may be shot on his way over. Back to training, no excuses. 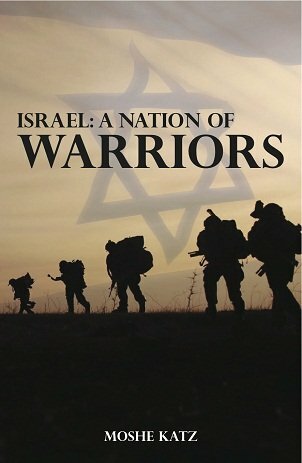 Learn the Israeli way of thinking, the Israeli approach to problem solving, the Israeli military mindset. Stop pushing it off, come here and train with us. Give us 10 days, two weeks and see the change in you.